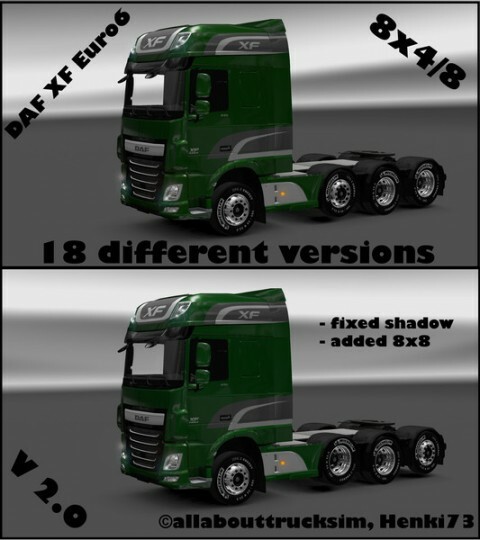 XF Euro6 with 8×4 chassis. 9 different versions. 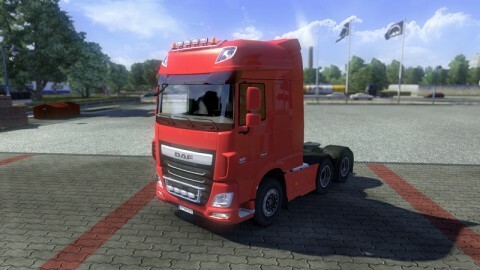 Included in the mod are Kelsa Parts, wall lights, roof air, etc. 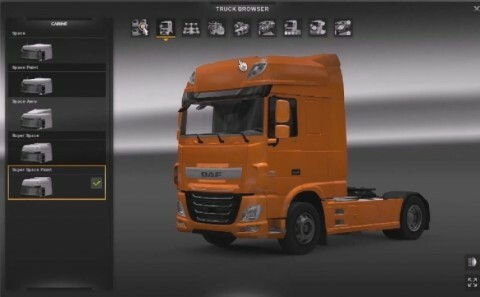 Here’s the DAF XF Euro6 with 8×4 chassis. There are a total of 9 different versions, so should be something for everyone. 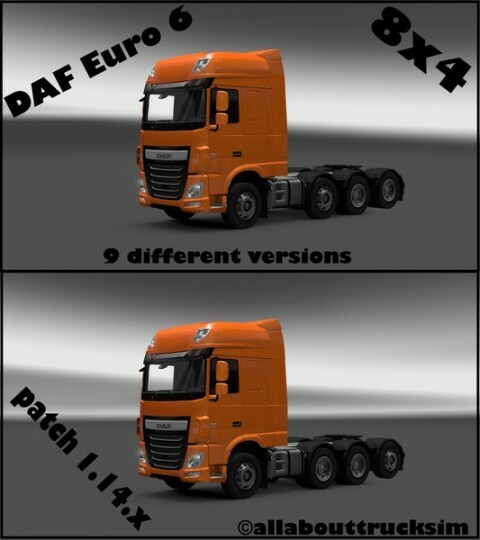 Mod adds new improvements DAF truck for Euro Truck Simulator 2. 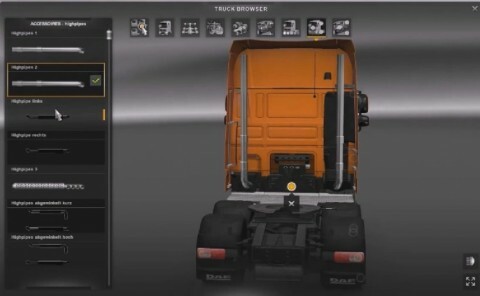 After installing this modification, you will be able to change almost all parts of the truck, for example, in general, appears 5 cab options, and if you put the last option, not only changes the shape of the cabin, but the front grille of a truck. Chassis options enough, there on the front lower suspension, and there are standard. 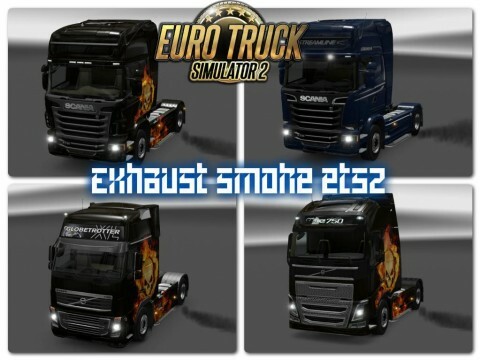 Game Version: 1.14. 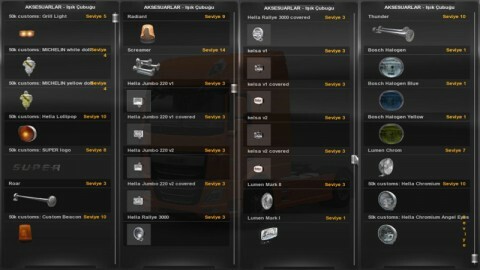 Mod adds little light tuning for all trucks Euro Truck Simulator 2. 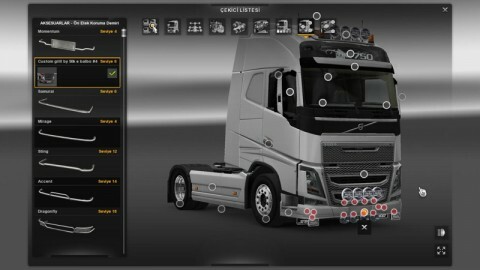 By default, the game is the only standard of improvement, but basically, you can only install fog lights. 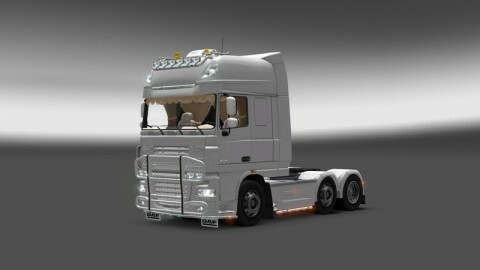 After installing the modifications you have more slots to install new fog lamps or orange and white lights. If before the lights can be installed only on the front grille, with the help of this supplement can be put on the lower part of the bumper, as shown in the picture. In the collection there is a different color lights, blue, green and bluish color under xenon Hella with logos and many others. During testing, errors and bugs are not seen. Use strictly on patch 1.14, if you use on the version below this, there may be problems with the performance.